← “To see oursels as ithers see us”. Well, imagine my disappointment. 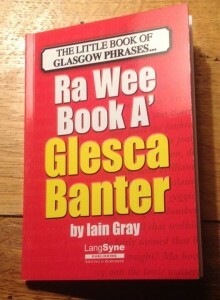 I bought this book yesterday expecting a definitive compilation the “everyday lingo unique to Glasgow”. But what did I find? 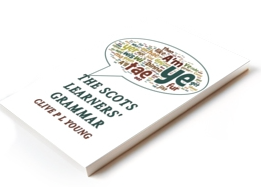 Over 70% of the 539 words are actually just everyday Scots terms common throughout the country. This must be contrary to the Trade Descriptions Act.